Entering the 21st FIFA World Cup Finals in Russia last summer, hopes of a successful tournament on the field for the host nation were alarmingly pessimistic. With Stanislav Cherchesov’s men so unfancied that media outlets in some quarters were asking if they were perhaps ‘the worst host team in World Cup history’. Russia were ranked 70th in the world by FIFA before a ball was kicked in their opener against Saudi Arabia on June 14, and most observers expected them to fall at the first hurdle and not make it through their group. 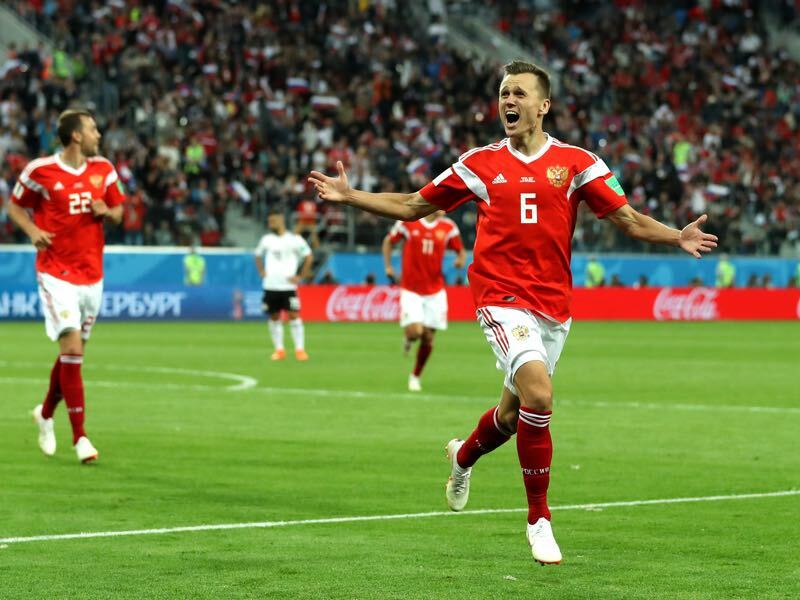 Inspired by striker Denis Cheryshev and prodigious young playmaker Aleksandr Golovin, the hosts fired their way to a 5-0 victory on the opening day and would go on to qualify from Group A in second behind Uruguay. There they eliminated Spain in the last 16 before a thrilling quarter-final clash with Croatia ended in a 2-2 draw and heart-breaking elimination by the lottery of penalties. In reaching the quarter-finals, Russia had their best performance at a World Cup since 1970, when they were still the Soviet Union, and far exceeded expectations. 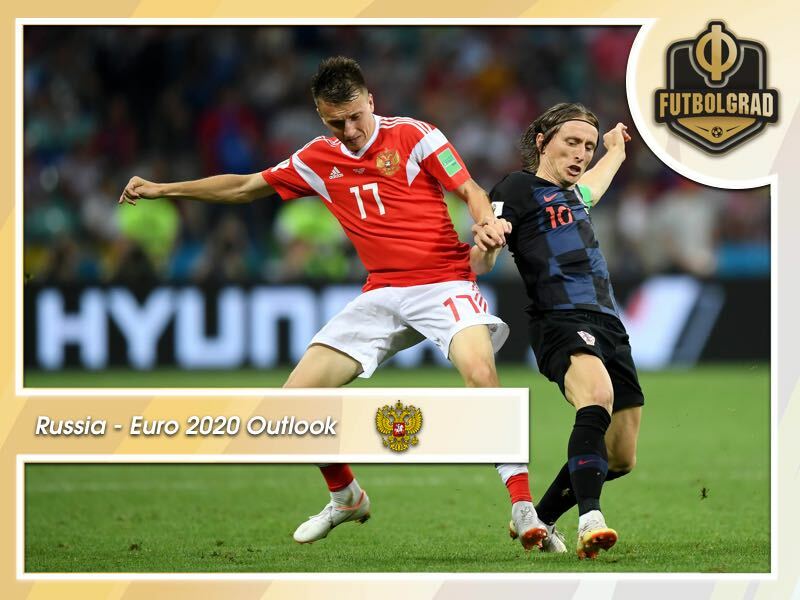 There has been plenty of optimism around the national side ever since and with the qualifiers for Euro 2020 now underway, there is hope that Russia can build on their World Cup run at the following major tournament next year. So at this early stage, how do Russia’s chances for success look for Euro 2020? First of all, they will have to navigate their way through a difficult looking qualifying group that includes favourites to advance Belgium, alongside Scotland and an underrated and ever-improving Kazakhstan, with the top two from six teams earning a spot at the finals. Russia’s campaign got off to a difficult start as they suffered a 3-1 reverse to Roberto Martinez’s Belgian’s in Brussels, but they bounced back on matchday two to thump Kazakhstan 4-0 in Nur-Sultan. Russia sit third in the group after their opening two matches, but with two home ties to come next in June against whipping boys San Marino and Cyprus, Cherchesov’s side should at least have a grip on second in the group after matchday four. Belgium are currently 1/10 favourites with bookmakers to qualify from Group I with Russia second favourites at odds of around 6/1. That seems to be fairly priced and the win over Kazakhstan has given Russia a huge boost particularly after the Kazakhs beat Scotland 3-0. There are plenty of goals in this Russian side and they created plenty against Kazakhstan even with Golovin’s absence (Golovin was suspended after receiving a late red card against Belgium). That all bodes well not only for qualifying but also for the tournament finals next year. For the tournament itself, France are early favourites at 7/2 across free bets sites with Spain, England and Belgium fancied behind them, while Russia at this point are out at incredibly attractive odds of almost 100/1. While nobody is expecting Russia to win Euro 2020, they have shown across the past 12 months that they are a match for the world’s best on their day as well as being a young and developing side. There is absolutely no reason why they can’t perform well next summer, and potentially yes, they could go all the way.